You know that squeaky clean feeling that you sometimes get after using a bar of soap? Turns out, that “clean” feeling can actually be irritating to your skin. And it’s why using a handmade soap can be better for your skin than a conventional bar. Here’s why: When you get that squeaky clean feeling, it can mean that your skin’s natural pH balance has been altered. It’s actually verging on way too dry. Running your fingers over your skin and feeling it catch to the point of squeak can be your skin trying to tell you that it’s been pushed to too high a pH level. And too high of a pH level = dry, irritated skin. A quick lesson in soap: “Soap” is actually a specific term for saponified natural fats (or oils) that have been turned into soap by being mixed with lye. When a synthetic material like a petroleum-based product is used instead of a fat, the resulting mixture is actually a detergent. Yep, as in laundry detergent. Why that matters: Conventional “soap” bars (yes, even the ones that claim to be full of lotions that are gentle on your skin) are typically made from synthetic oils. That makes them detergents—not soaps. And detergents are not only more drying to the skin because of their high pH levels, but they also can cause irritation like redness and itchiness. Talk about false advertising, right? 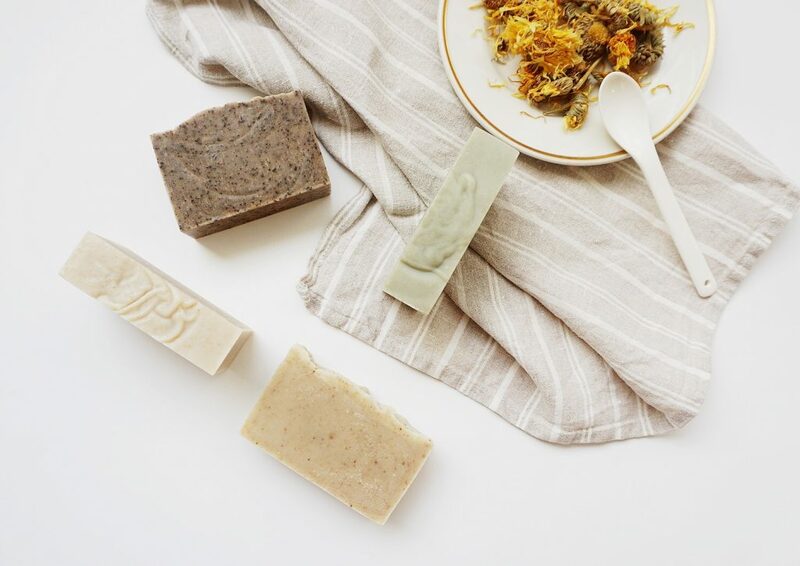 What you should try instead: Handmade soap crafted from vegetable or animal fats is gentler on your skin because it encourages a natural pH balance. Sometimes, it can even be more moisturizing because it’s been blended with a little extra oil to give your skin a moisturizing boost. The oils bind to the dirt and grime on your skin, washing them away, but also leaving your body feeling soothed and moisturized. So, while you might not get that traditionally squeaky clean feeling, you can be sure that your skin is not only clean, but also taken care of. Organic Bath Co.’s new Bar Soaps do just that: Lovingly caress your skin to cleanse and hydrate, with just the right balance of ingredients to leave skin feeling soft and smooth. No detergents here!